Springfield shock - The yellow family is falling apart! Is the yellow family falling apart? 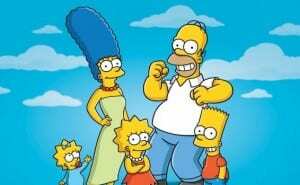 Simpsons producer says they yellow couple will get divorced this season. The web is shocked by the latest news of the most surprising divorce case, in 26 seasons the simpsons endure all kinds of crises, fights & Homer umb behavior, But now it seems to be final. Homer and Marge no longer together. In the premiere episode of the 27th season, which will be broadcast on September 27, the yellow and entertaining couple is in fact getting divorced. The producer, Al Jean, revealed the secret surprise In an interview this week, “Homer suffered all these years from narcolepsy (fall asleep – a neurological disorder that causes sleeping in many situations) and it’s indescribable burden on the marriage. Homer and Marge divorcing and Homer falls in love with his pharmacist, (voiced by Lena Dunham.) ” Jean added that there will be another small woman guest roles in the series. It is worth remembering that the couple may get back together into the yellow nest and fall in love again at the end of the chapter.